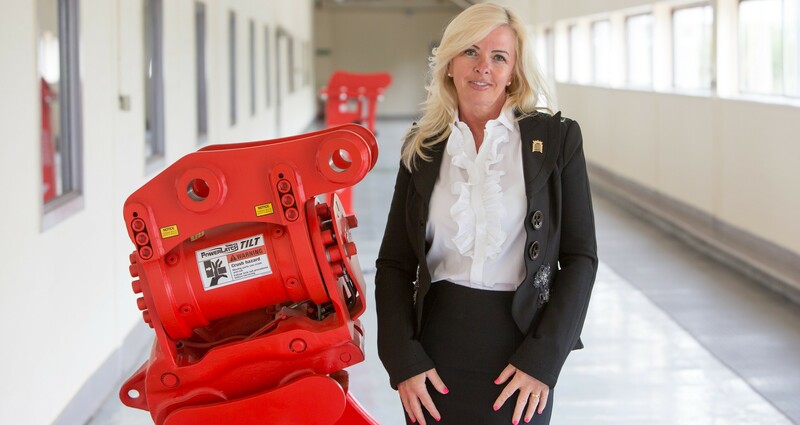 Jacqui Miller-Charlton is seen as a trail blazer in construction, quarrying, mining and associated industries. 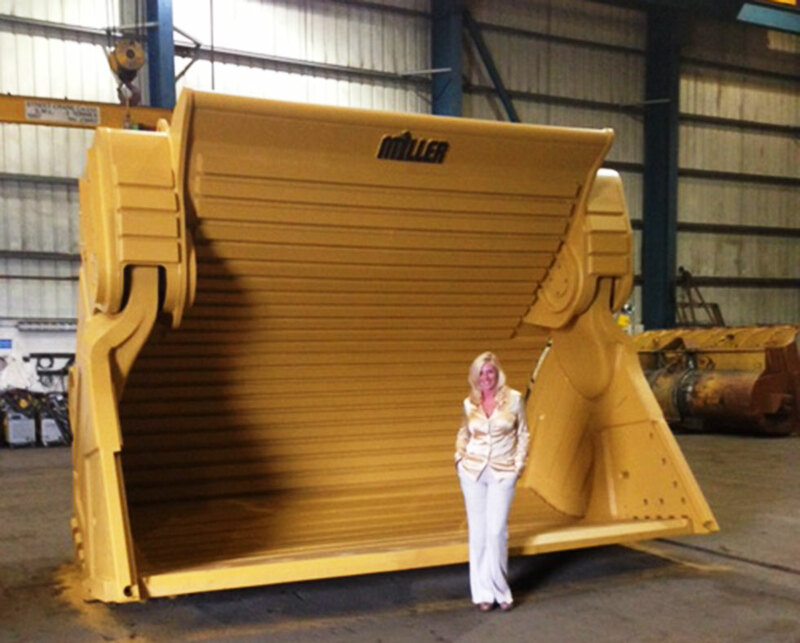 She – along with her two brothers – built up Miller International Ltd., which has helped change the way hydraulic excavators are used around the world with the company’s revolutionary Miller Quick Coupler. 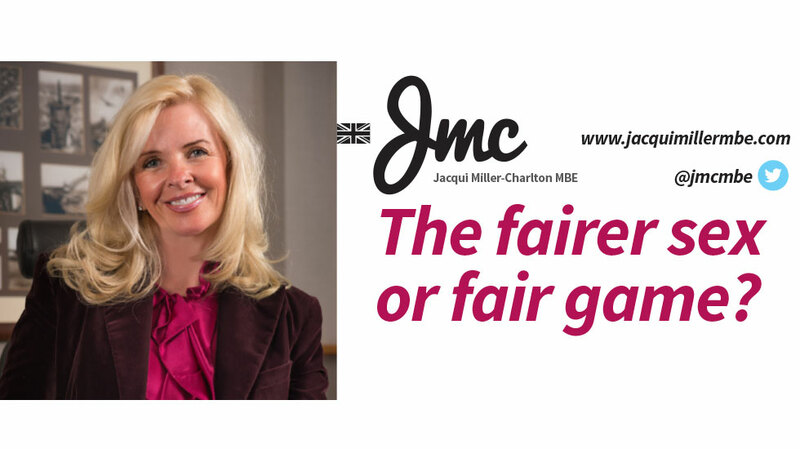 Jacqui stepped down from her operational role in 2014 but remains a shareholder and a main board director at Miller. In 2013, she was awarded an MBE for her services to industry and international trade. She is also a past winner of the WIN International Business Woman of the Year and a Women’s Business Council’s National Award for Enterprise. Here, Jacqui reflects on her experiences as a woman working in male-dominated industries for more than 35 years. 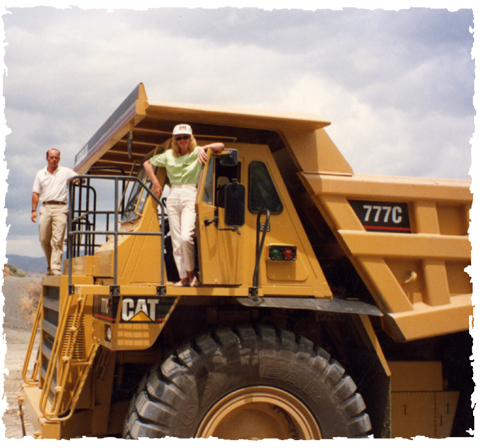 I started my journey in the early 1980s, supplying products and services to construction machinery in the very male-dominated environment of construction, quarrying, mining, demolition and all associated sectors. Back then, you hardly came across a female in these sectors, at least not in the front line. Being a young ambitious woman with integrity as one of my core values, I learnt quickly that in the business environment, all was sometimes not what it seemed. The industry was exceptionally competitive and sexism and inequality were rife. I experienced on a great many occasions inappropriate behaviour from both a verbal and physical perspective – all of it down to one single fact – I was a woman. However, as my mother always said, ‘if you can’t stand the heat get out of the kitchen’, and so, unperturbed, I marched on, determined to become a trail blazer for women in the sector. Fast forward almost three and a half decades and the sector has improved dramatically. Although inequality and sexism does still exist, great progress has been made as more and more male managers have embraced working with their female counterparts and can see the added value and different sense of perspective women can bring – even to the most masculine projects. Although there are considerably more women working within the construction and associated environments today, there is much work to be done to encourage our younger female generation to consider a career within these industries. We must tackle the gender bias that still suggests there are jobs for only boys and jobs for only girls. As the sector continues to evolve, it’s never been more important to attract the skills of both genders to keep up with the pace of change. We need innovative, fast-paced thinking individuals to help Britain become a world leader in infrastructure design, development and deliverance. I hope that through initiatives aimed at attracting more female talent within what were previously very male-dominated sectors, we will see a significant increase in women working in construction and helping to reshape and improve the industry. I am not a believer in quotas. I believe that as a male or female you should earn the right of advancement within your chosen career. However, I sincerely hope that we will see an end to pay inequality and men promoted over women simply because of their gender. Like most business people, I look to the future with a mix of trepidation and excitement as, while none of us can know what it holds, Brexit throws up a host of additional uncertainty to try and navigate. What we can do, however, as a country, is invest in the British economy by looking to release the capital necessary to start the many much-needed large infrastructure projects across the length and breadth of the UK. By doing so we can ensure that most of our people are working through one of Britain’s most difficult transitional periods in recent history. Do I believe Britain can thrive outside the EU? Yes, I most certainly do; it will take time, there will be significant hurdles to overcome, but if we pull together and work hard we will emerge as a stronger, richer, more stable United Kingdom.